From left to right: White, Red, Medium Brown, Cream, Gold, Buckskin*, Tobacco, Black Deerskin Leather, and White Red Deerskin Leather. This is TOPGRAIN deerskin leather--often called Buckskin as well. It has a smooth side (skin side) and a rough side (suede side). SEE BELOW for sample sizes and more pictures. 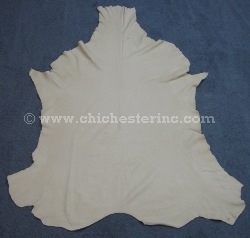 We sell deerskin leather by the full hide. The White Tail Deer hides vary in size from about 8 square feet to 13 square feet. The Red Deer hides vary in size from about 14.5 square feet to 20.5 square feet. Each hide is marked with its size. We can usually select either small, medium, or large hides according to your wishes. Expect to pay between US$80.00 and US$130.00 per hide. We will not, however, cut hides to measure or select just the best hides. No returns on cut hide. The thickness of the black garment deerskin leather is 4 oz to 5 oz which is (1.5 mm to 2 mm). Our Gxx codes denote individual pieces. 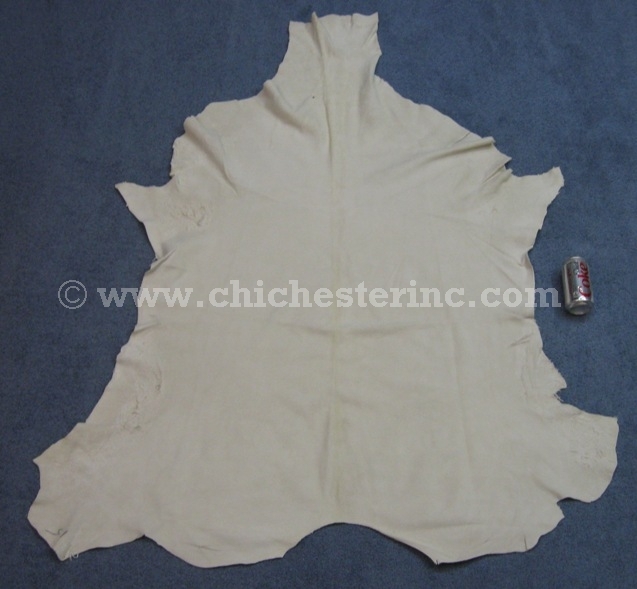 If you would like to order a specific garment grade deerskin leather hide, please go to our Gallery to pick the exact one shown. *The Buckskin color is discontinued. A USFWS export permit is required for all shipments outside the U.S. 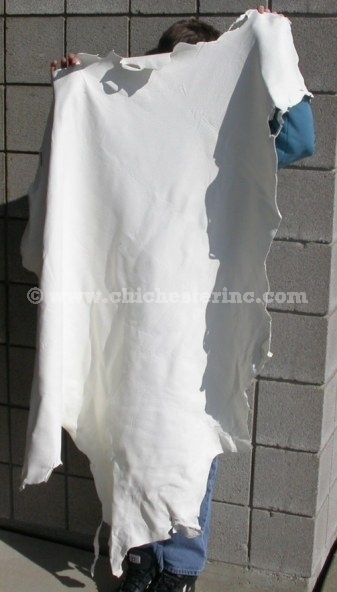 Comparisons of front and back of the leather.